If you've already downloaded and installed software update 4.49.605.11, this update includes the latest Android security patches on your device. If you haven't downloaded and installed 4.49.605.11, this update provides Android 7.0 Nougat, improving your mobile experience with new battery-smart features and multitasking enhancements, and the latest Android security patches. Verizon Wireless is pleased to announce a software update for your HTC One M9. Android 7.0 Nougat improves your mobile experience with new battery-smart features and multitasking enhancements. This update also includes the latest Android security updates and bug fixes. To activate multi-window view, touch and hold the Recent Apps button. Whichever app you're currently using will go to the top of the screen on your HTC One M9, with a list of recent apps along the bottom. 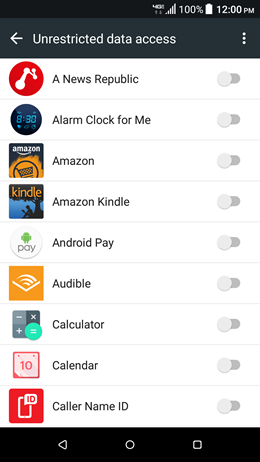 Select the second app you want to use from the list. Drag the divider to resize the app windows, or to maximize either active app. Multitasking has never been easier, use 2 apps on screen at the same time. Touch and hold the Recent Apps button. Tap and hold the app you want to use and drag it to the top of your screen. Swipe up or down through your recent apps. If you have one app open, you can also switch to Split-screen view by tapping and holding the Recent Apps button, and your current app will move to the top half of the screen. 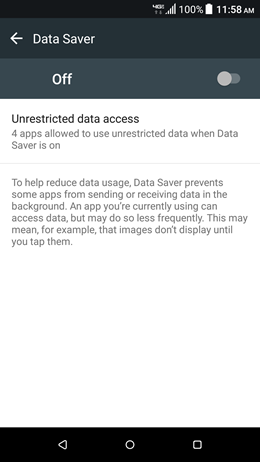 With Android Nougat on the HTC One M9, you can now enable Data Saver to restrict specific apps from using data in the background. 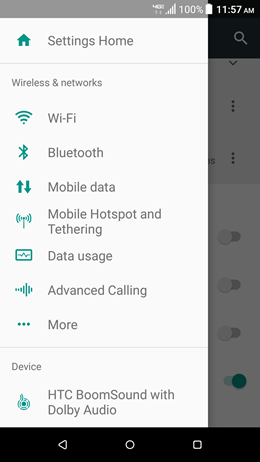 Under the Data Usage menu, open Data Saver and slide or tap it on. You can then go through a list of apps installed on your device, and enable background data for each one you want. When in Settings, you can quickly hop between various sections by dragging in from the left edge. Settings are broken down into the same categories as the main list, but using the slide-out menu eliminates the need to tap the back button, scroll, and then select another setting category. You can now double-tap the Recent Apps button to quickly switch between your two most recently used apps. 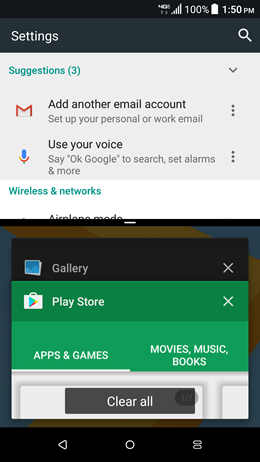 For example, if you're writing an email in Gmail™ but need to look something up, you can open Chrome™, find and copy a link, then double-tap the recent apps button and your HTC One M9 will switch back to Gmail. You can now reply directly in notifications from apps like Facebook Messenger, Hangouts, or Messenger directly, so you can have a conversation without having to bounce between apps.